Getting mutilated by your own Force lightning stinks. Not only does it hurt like the dickens, but it turns your face into something from a horror show. 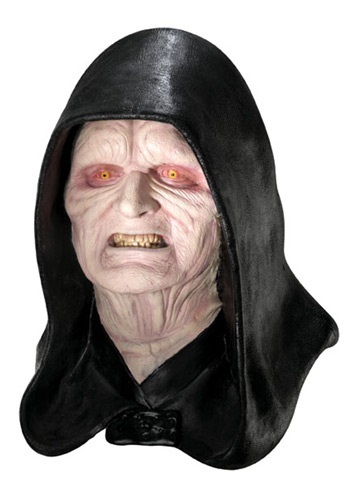 Sure, with a face like that, it might be just the trick to turn Anakin Skywalker into your newest apprentice, Darth Vader, and the people of the Republic might be more sympathetic to your whole "kill all Jedi" policy, but if you ask us, you're much better off putting on this Emperor Palpatine mask. Not only will you get to keep your handsome good looks while practicing the dark side, but you don't have to challenge Mace Windu to a lightsaber duel just to set your evil plans in motion. With how smart Darth Sidious is, we just can't see how he didn't figure this way out himself.